I have no problem with the basic ones (other than the free version I have also purchase ones for iphone and my ipad). But for advanced ones, i go thru the tutorial without any problem, but in the real game i am stuck, even with the free game 1. In that case, how about posting in this forum a screenshot showing the point in which you are stuck? There will be lots of fans happy to explain the next step... I know I will. Taking a screenshot on iPhone is done by pressing the main (round) button and the on/off button at the same time. The screenshot is then saved with your photos and you need to sync with iTunes to move it to your computer. Status: offline In the first row you have 3 and 5. The square on the left of 3 and one square below that are white. 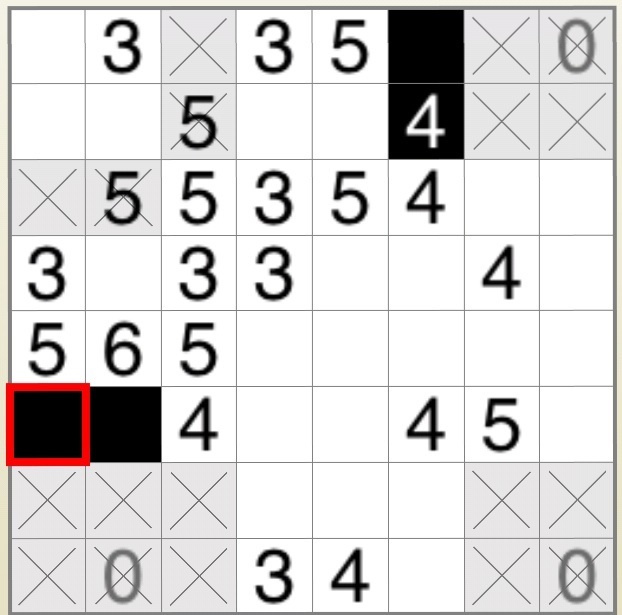 The square on the right to the 5 and one below that are black. Status: offline OK, I guess it's my turn now for the next step. Take a look at the "5" in the 3rd column from the left, 3rd row from the top. 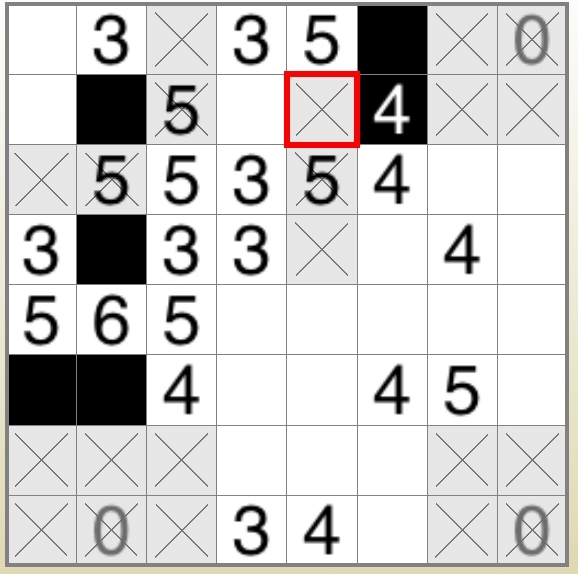 In order not to violate the "3" on the right of the above "5", two squares to the left of the "5" must be filled. In addition, the three squares on the right of the "3" should have X in them. 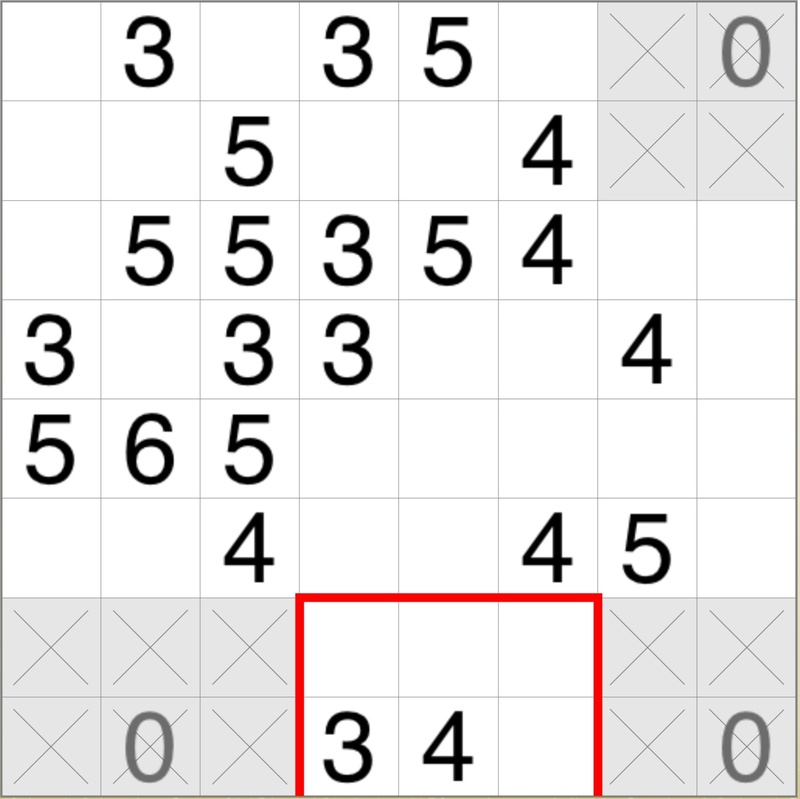 Status: offline Quote: "In order not to violate the "3" on the right of the above "5", two squares to the left of the "5" must be filled"
Can you give more detail on this ?